Has Canada Revenue Agency been calling you? If you’re receiving those regular calls from the Canada Revenue Agency (CRA) then we certainly understand how stressful that can be. It is certainly a delicate situation to navigating how your bookkeeping is done so that you can properly get straight with the CRA. It is very important that the professional that you work with navigate you through clearly understands the requirements by the CRA. It is also very important that they are reputable and that they have worked with CRA prior to doing your books. 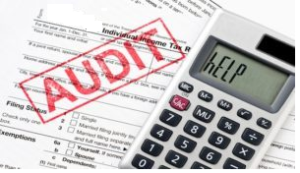 Compliance means that you have done all the right filings with the CRA, that you are caught up to date, and that CRA is able to have an accurate picture of how your business is doing. Collections is the process of collecting the money that you owe the CRA. During this time of dealing with this CRA, they will be looking for you to get (and stay) compliant and make a payment arrangement to clear up the money that you owe them. If you chose to ignore them, the CRA can seize your bank account and take money from you. Getting caught up to date is not just as easy as getting your bookkeeping done. It requires a detailed and strategic plan by your accounting professionals (both your bookkeeper and accountant). It requires looking forward to the costs that you will incur to get caught up and to stay caught up. It involves looking at your own individual needs to make sure that the plan will meet your own individual requirements.